If you are looking for a way to have fun this summer, why not consider volunteering? US residents are the most generous people in the world with their time. Volunteering is cheap, easy, and can be a real boost in entertainment and fun. All you need to do is start by finding what interests you, and take it from there to build a social group, do some fun activities, pad your resume and improve your skills, and reap the numerous rewards from your volunteer work--you can even build your business network through your volunteer activities! If you have never associated volunteer work with fun, just take a look at some of the many opportunities available below, and think about what you might consider to be fun. Horse farms -- Horse farms always need volunteers, especially in the summer. Sure, some of the work is not the best, but if you really love horses, you'll want them to have clean stalls, clean eating and water troughs, and be comfortable and free from flies and other annoyances. Simply look in your area, either on the Internet or by calling or asking your friends who love horses. Often volunteers are rewarded with riding time or even a chance to buy their own horse for a discount. Be sure that you ask about each horse's individual temperament and make sure to keep your wits about you. Animal Shelters -- Animal shelters are another good choice for volunteering. Cleaning cages, feeding the animals, and even taking them for walks and playing with them, as well as helping to answer the telephone, manage paperwork, and many other tasks need doing, and your local shelter will love you for it! Libraries -- If you are a bookworm, this is simply the most fun you will ever have. Libraries always need volunteers, and you will get a chance to see how the place really operates. Often libraries have special collections that ordinary visitors do not get a chance to see, such as original manuscripts, collections of objects, and artwork. While you won't get to handle the rare stuff unsupervised, there is plenty of opportunity to get to know what your local library offers, and volunteers often get special privileges such as extended checkouts, more renewals, or special access. Churches -- Churches can always use a helping hand, and the variety of opportunities available may be extensive. Many churches have outreach programs, including overseas programs, and they always need people with office skills, organizing skills, or other kinds of everyday problem-solving to keep up with the demand. Whether you're handy in the kitchen (or want to be), or know how to use a computer, or have a gift for making people comfortable, a local church will have a great opportunity for you. Although the kinds of perks volunteers get vary from satisfaction from a job well done to other opportunities, few other places offer the variety of opportunities to give back found in churches. Museums -- if you love explaining stuff to people, or you are enthusiastic about art, history, science, social movements, transportation, or other kinds of activities, your local museum might be the right volunteer opportunity for you. Museums aren't just about art, but also about local history, wildlife, local personalities, and almost anything you can imagine. Explore the museums in your area and see what kinds of volunteer opportunities are available. Perks often include free admission, a peek at special collections, or even the opportunity to work behind the scenes. Community Gardens -- Why is it that so many people love gardening? Is it the joy of seeing things grow, or is it just plain fun to play in mud? In any case, community gardens always need volunteers for watering, weeding, pruning, harvesting, and much more. If you are a nut about gardening, search for a local community garden to help out. If you don't have a community garden, how about starting one? Simply get permission from the owners to start a garden on an unused plot of land, and ask your local nurseries for donations. You'll be amazed at the fun you'll have, and the good you can do! Hospitals -- Some decades ago, candy-stripers were in every hospital: teen-aged girls who wore red and white striped uniforms, and did some visiting with patients. Today's hospitals have gone far beyond the candy-striper volunteers, and need volunteers of every variety. If you have an interest in medicine (or perhaps you are thinking about becoming a doctor or a health worker) then volunteering at a hospital might be for you. Although there are not a lot of perks usually associated with volunteering at a hospital, you'll be helping out people when they need it most. Call your local hospital's non-emergency number to discuss their volunteer needs. Schools -- Schools often have volunteer positions open, whether it is in the library, the office, or some other position. By volunteering, you will free up time for teachers and other staff, who can then concentrate on their job of teaching instead of doing routine work. In the long run, this benefits us all! By making good use of your summer vacation, you will be benefiting not only others, but yourself. If you are in school, volunteer work looks great on an application. Even if you are finished with school, employers tend to be impressed with volunteer work. You will have a chance to develop or sharpen your skills, and you may even be inspired to start your own volunteer organization, or have an idea for a new business that could change the world for the better. So get out there and begin volunteering today! If you have ever wondered, "Why volunteer?" this book will definitely answer the question! 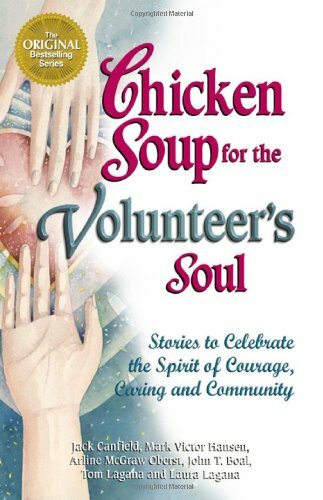 A wonderful resource for inspiring your children to commit to serving others. volunteering can be a lot of fun. Great article!